Not many of us know that we use almost all the parts of a banana plant -- the flower, raw and ripe banana, and stem. Even the leaves are used to serve food in South India. Banana stem or vazhai thandu is very healthy and rich in fiber content. There are many benefits from consuming banana stem. It cools the body and is also very good for weight loss and lowers blood pressure. So it is really good to include it at least once or twice a week in our diet. Am giving here a simple and delicious recipe for a talimpu/stir fry. 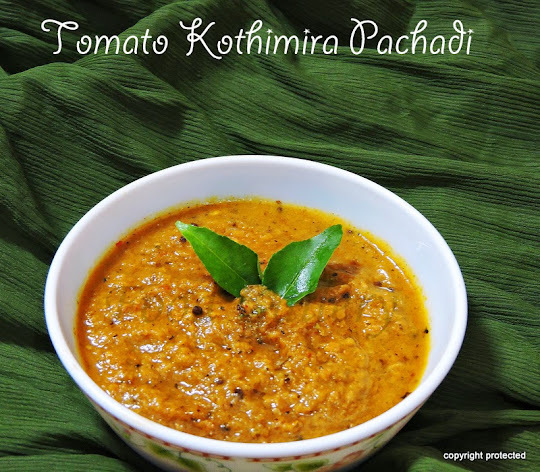 It is served as an accompaniment to rice and rasam or sambar. Remove the outer covering of the stem and make round slices removing the thread-like fibre with one of your fingers. Then chop it into small thin pieces and put it in water (Little buttermilk can be added to the water to avoid discoloration) and keep aside. Heat oil in a kadai and add mustard seeds. 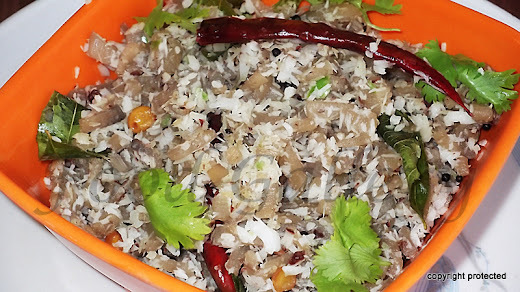 When it splutters, add urad dal, red chillies and curry leaves. When dal turns light brown, add the chopped banana stem pieces and salt and mix well, sprinkle a handful of water and cover it with a lid. Cook in low flame. Open the lid in between and stir well. Once the banana stem pieces are cooked and all the water evaporated, add the grated coconut, check for salt and if required, can add and mix well. Remove from fire. Banana stem stir fry is ready to be served. Tastes great with rice and rasam.